Police in New Hampshire's capital are warning about a string of car break-ins in which tires and rims were stolen. 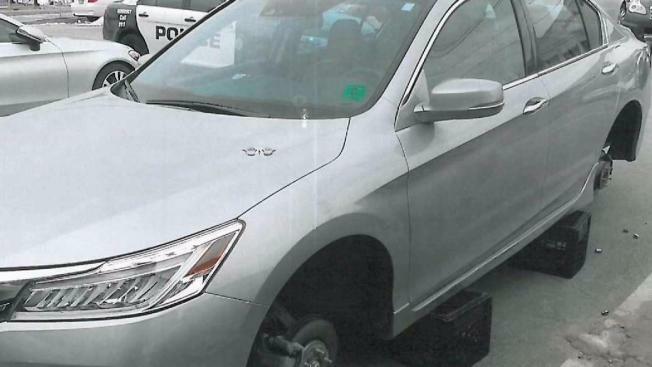 Police in Manchester, New Hampshire, say there has been a dramatic uptick in car rims and tires being stolen recently, with people waking up to find their vehicles on milk crates. The number of incidents has increased to 14 in the last two weeks. Abel Emanuelli bought a 2016 Honda Accord for he and his fiancee just a few months ago to get back and forth from work. On March 21, he woke up to find his car on three black crates, the tires and rims gone. "The window was smashed," Emanuelli said. "The lug nut was taken. All the lugs were everywhere on the ground." 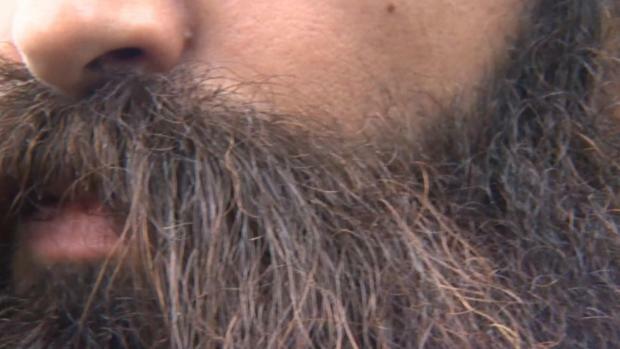 Emanuelli was one of the first people to be affected by what is now a rash of car vandalism. Police say the thieves typically break the window and go into the glove box, and take the toll that's provided by the manufacturer and remove the tires and rims. "I figured by me trying to report earlier and say we need to do something about it, that this wouldn't happen, and it did," Emanuelli said. The latest incident happened April 12 on 1200 Elm Street to a Hyundai. Police say the theives have been targeting upscale apartment complexes all over the city around 3 a.m. to 6 a.m.
Emanuelli lives in the Mill West Lofts at 195 McGregor St. That parking lot has been hit twice. The three other places Manchester Police said have been targets are English Village Road, Elm Street and Kidder Street and Easten Avenue. "I shouldn't have to run every single time to the window to see if my car's going to be safe or wake up in the middle of the night 3 o'clock to make sure my car is still out there with wheels," Emanuelli said. Manchester Police said they've been in touch with the National Insurance Crime Bureau to see if there have been any trends to correlate what's happening in the city. Now, police say they are stepping up their activity. "We're going to start increasing patrols in those areas," Manchester Police Lt. Paul Thompson said. "We're going to have unmarked units in those areas." Residents like Emanuelli and his fiancee can feel safe in those areas again. "We're looking forward to planning our wedding and moving on from this," Emanuelli said. Police are asking the publicist if you, "see something, say, something." They say if you see a car driving around multiple times in the middle of the night, call police.